THE GRAMMY NOMINATED, ELECTRONIC MUSIC AWARD WINNING DJ BONOBO WILL PERFORM AT SOUNDS WILD FOR THE FIRST TIME, ALONGSIDE A LOCAL LINEUP NEXT FEBRUARY. 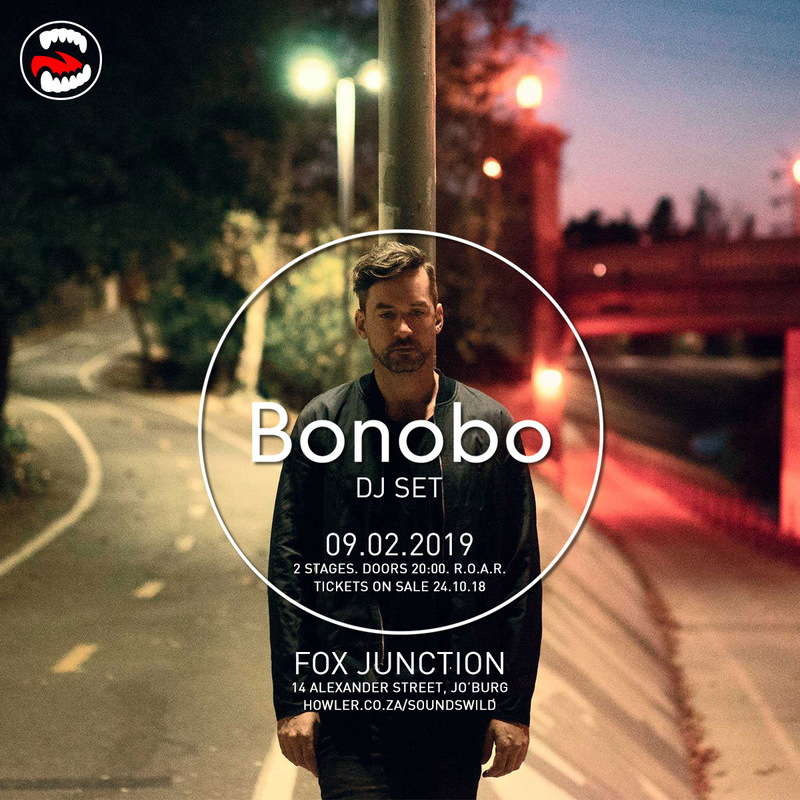 Adding to the excitement and after countless online petitions and social media requests – British musician, producer and DJ Bonobo will head to Joburg’s Fox Junction Event Venue on Saturday the 9th of February 2019 to perform a DJ set at Sounds Wild supported by a top local lineup. Bonobo’s rise has been stealthy but unstoppable, and Simon Green, the man behind it all, is now one of the biggest electronic artists of our time! He initially debuted years back with a trip-hop aesthetic, and since ventured into more of an upbeat approach while experimenting with Jazz and World Music. His 2017 ‘Migration’ album is his 6th body of work and biggest yet, achieving a top five chart position in the UK and nominated for Best Dance/Electronic album at the 60th Annual Grammy Awards cementing his breakthrough in the US. The ‘Migration’ album also won the Album of the Year at the 2017 Electronic Music Awards – and to top it all off, Bonobo was nominated for Live Act of the Year at the awards show. The album’s track ‘Bambro Koyo Ganda’ was also nominated for the Best Dance Recording at the Grammys of that year. Green’s work has amassed a cult following around the globe, collaborating with various musical heavyweights solidifying his presence on the electronic music scene. Kicking off 2019 with the first Cape Town show, Bonobo will then hit downtown Joburg and perform to the Sounds Wild masses and heed the call for fans outside of the Mother City. Tickets go on sale Wednesday 24th October at 10am on Howler – Book now to avoid missing out! Tickets on sale 24th October 10am!